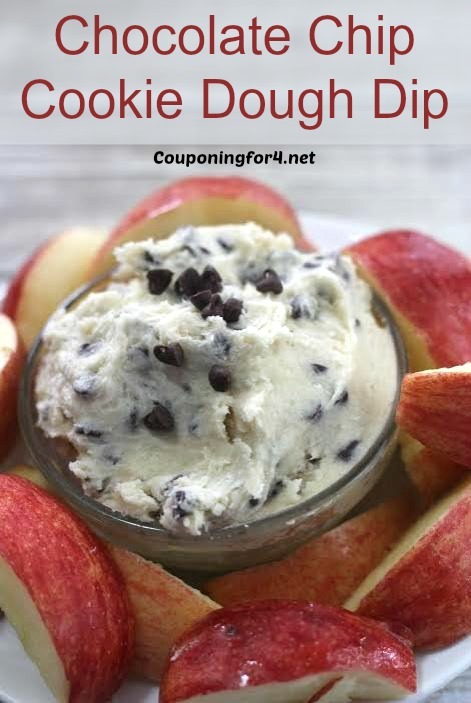 Cookie Dough is one of the ultimate comfort foods for those of us with a raging sweet tooth, but this is even safer! 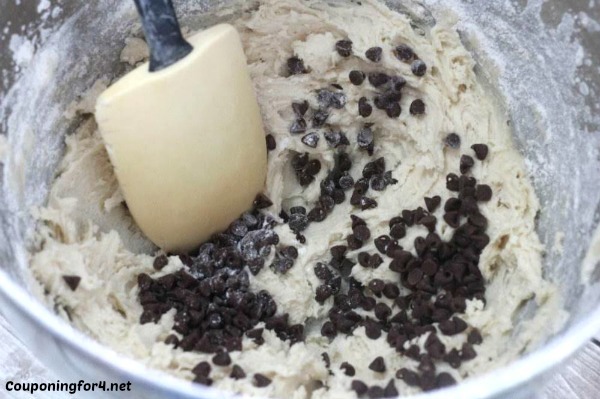 This Chocolate Chip Cookie Dough Dip recipe is egg free (so you can eat it raw!) and takes only minutes to make. 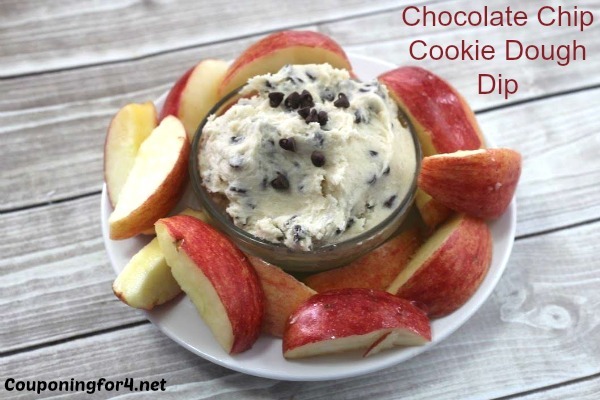 This deliciously sweet dip has all the flavor of chocolate chip cookies and is great with apple slices, pretzels, graham or animal crackers, vanilla wafers or straight from a spoon! It is tasty enough to bring to a party but can easily be made as a snack. Keep it to yourself or share with the crowd – and if you do, they should count themselves lucky! Using a hand or stand mixer, stir together your butter, vanilla, salt, and sugar until well mixed and fluffy. Gradually add the flour a little at a time until it is completely blended. If you want you want to beforehand, microwave the flour for about 20 seconds, stir, and again for another 20 seconds to help cut the raw flour flavor. Stir in your mini chocolate chips with a spatula to combine well. Transfer the contents to a bowl and store in refrigerator for up to 3 days. Using a hand or stand mixer, stir together your butter, vanilla, salt, and sugar until well mixed and fluffy. Gradually add flour a little at a time until it is completely blended. If you want you want to beforehand, microwave the flour for about 20 seconds, stir, and again for another 20 seconds to help cut the raw flour flavor. Stir in your mini chocolate chips with a spatula to combine well. Transfer the contents to a bowl and store in refrigerator for up to 3 days.